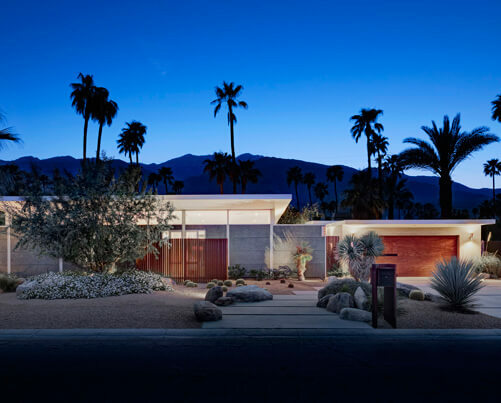 A new residence and casita, where the main house is an updated redesign of the classic Palm Springs Alexander modern home. 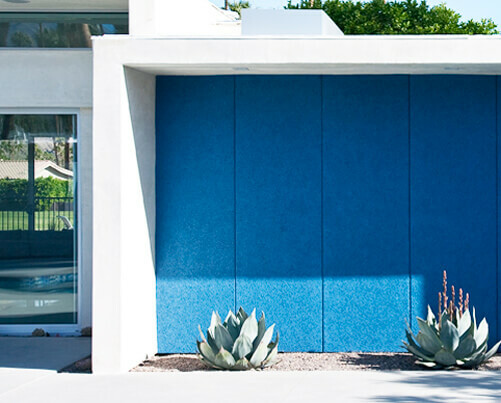 The guest casita respects the main house yet moves forward in materials, form, and quality of space and light. The guest casita opens onto its own deck which wraps toward the pool, establishing diverse exterior space and implied privacy. Combined with the main home’s use of sliding doors and floor to ceiling windows to connect the indoors and outdoors, there is a comprehensive use of the yards as extensions of the home, creating a useful area much greater and more comfortable than the modest building footprint. Landscape is a range of native and drought-tolerant plantings, reinforcing the variety of places, uses and views throughout the property. 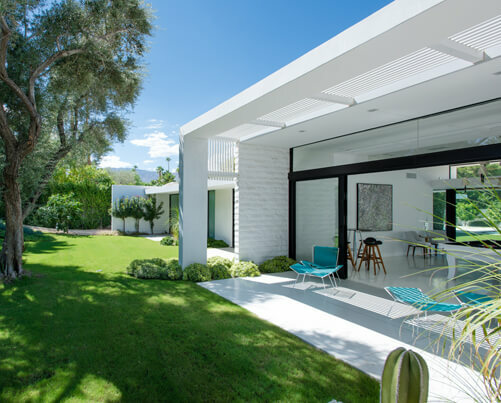 Studio AR&D Architects is an innovative Architecture, Design, and Construction firm working nationally out of an office based in Los Angeles, California.